Back in 2014, Michelle Williams snagged a bit of spotlight for herself with gospel hit, “Say Yes” featuring former bandmates from the Destiny’s Child, Beyonce and Kelly. Michelle was seemingly distraught when the track initially dropped on the interwebs via a Twitter leak, but “Say Yes” went on to chart on the Billboard with a rave of positive reviews commending the catchiness of the composition. But for Nigerians “Say Yes” and its variations is a popular praise and worship song commonly sang in churches across the country. 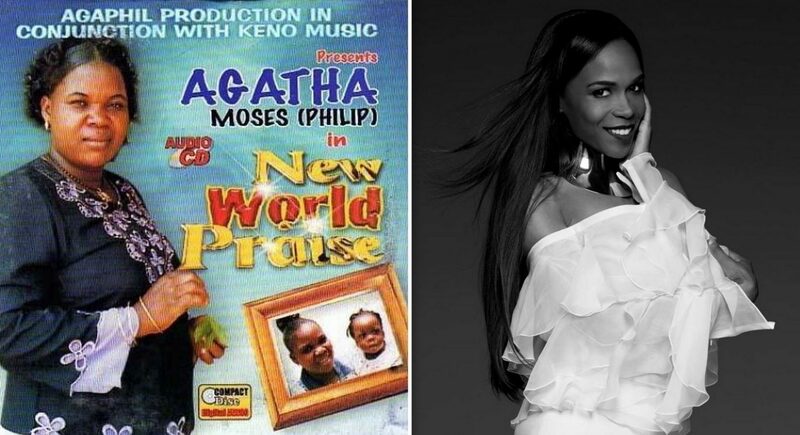 However, the earliest recording of the words “When Jesus says yes” till date is off Sister Agatha Moses’ 2004 album, New World Praise, featuring a medley of other popular songs you have probably heard blaring off speakers on your average Sunday. Back to Michelle Williams, in this interview with Cross Rhythm, later that year the singer tells the story behind her hit single, “Say Yes” with the tone-deafness of a culture vulture. According to the singer, “When Jesus says yes” is “an old Nigerian song”. Earlier in the interview, Michelle claimed the melody was inspired by a traditional African praise number. But not only was Agatha Moses’ version released in the early 2000s, the Soweto Gospel Choir did not cover “When Jesus Say Yes” until 2014, just before Michelle dropped her own “Say Yes”. Elsewhere in the interview, she explains Sister Agatha Moses lyrics was a local “dialect” with a Bob Marley reference saying “Bob Marley, didn’t he have a song saying ‘What God bless, no man can curse’? So it’s kind of the same thing.” Only it isn’t the same thing. Bob Marley himself had repurposed a quote from a famous bible verse, for “Who Jah Bless No Man Curse”, yet the lyric is rarely used out of context without reference to Reggae, Patois or Carribean music. Gospel Music in Nigeria is directly influenced by the church culture that creates it so the origin of the melody itself is unknown. But for Michelle who built the entire rollout for her Journey to Freedom album on this lead single, there are no excuses for not crediting the right voices. Stream the Original “When Jesus Say Yes” via YouTube here. And here’s Michelle’s cover featuring Beyonce and Kelly Rowland.